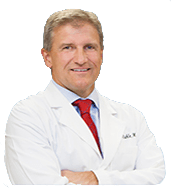 Dr. Steve Stahle is the co-founder and Primary Care Medical Director for the US Center for Sports Medicine. He has dedicated his life to sports and sports medicine. Dr. Stahle graduated with honors with a B.S. in 1987. He combined his passion for sports with his academic drive in math and science when he decided to pursue a career in medicine.